Mechanical Design & Engineering | Innovative Automation Inc. Exactly what a mechanical Engineer is can vary based on industry, perspective and project. Formally, Professional Engineers Ontario reserves the title for Professional Engineers with a specialization in Mechanical Engineering. However, many individuals perform some of the duties of Mechanical Engineers, even if they aren’t a registered Professional Engineer. These titles all share a common theme: to attain them, one must undergo a mixture of formal, hands on, and academic training in the design, manufacture, maintenance, and development of mechanical systems. What do Mechanical Engineers Study? To become a Professional Mechanical Engineer, one must attend an accredited University program specializing in Mechanical Engineering. During his/her studies, an undergraduate mechanical engineering student studies a wide variety of subjects. University engineering programs focus on tackling problems from first principles: connecting the engineering knowledge back to its scientific origins. The program ensures that, at graduation, a mechanical engineer has the tools and skills to innovate, invent, and tackle new, unforeseen challenges. The subject matter that a ME student studies evolves significantly during the four years at school. The first two years have a strong focus on pure science and math, creating a strong base and fundamental understanding of basic principles for the following years. The final two years dives deep into true engineering. For example: math is used to model , describe, and analyze fluid flow, the motion of dynamic systems, the behaviour of closed-loop feedback control systems and the behaviour of materials under loads. The students learn about the detailed characteristics and properties of metals, ceramics, composites and plastics. The university teaches you about energy, heat, and modes of transfer as well as the laws of nature that dictate how these can be used. Engineering students also are required to take a variety of other courses that teach the student about law, economics, ethics, and how these pertain to the engineering profession. My favourite course: “Gas Dynamics” could have the subtitle: “the space ship, the SR-71 , explosions, and why these are the coolest things on earth”. What do Mechanical Engineers do in the Automotive Industry? The car is a fantastic example of excellent mechanical engineering. The production of affordable, safe, and fun cars as we are familiar with today is truly an achievement. None of it would be possible without millions of hours of mechanical engineering design. The car itself requires enormous amounts of effort to ensure that it’s strong enough, safe enough, and inexpensive enough that people will purchase it. Vehicles are almost a necessity in most parts of North America , as well as a luxury in many parts of the world and the automotive industry must produce to meet this demand. Cars are so popular that the automotive industry must make a lot of cars to keep up with demand. A LOT. Honda Canada Manufacturing, located in Alliston, has the capacity to make 390,000 vehicles per year. The consequence of this is that they are required to produce about 1 car a minute. Keeping up with such a production rate means that the car parts must be manufactured at the same rate. This is where Innovative Automation comes into the equation. Our team of mechanical designers focuses on providing machinery to our clients to allow them to meet their production quotas, while meeting their quality requirements. We’re experts at designing machinery to manufacture, assemble, test and inspect, and do all of these functions quickly enough to keep parts supplied and the cars rolling off the production line. What do Innovative Automation’s Mechanical Engineers do on a Daily Basis? Innovative Automation designs and builds custom automation machinery for very specific applications. Our clients approach us with processes that they would like to automate, and we work with them to develop a solution. Since we’re not producing the same machine over, and over again, our work is very project based. The consequence to the mechanical designer is that the nature of his/her daily responsibilities will change significantly over the course of a project. At the beginning of the project, a mechanical engineer works very closely with the customer, project manager and account manager to develop a machine concept. This is a critical phase, as it defines the architecture, process flow, and physical layout of the machine to be built. This stage in the project involves boardrooms, white boards, sketches, and discussion. This is where our most senior mechanical engineers take the role, as their experience helps avoid potential unforeseen pitfalls. A typical day could consist of meetings with customers, hand drawing sketches, and a healthy amount of mental gymnastics and pencil twirling. The next stage of the project is where the machine design is fleshed out. The lead designer will have a good understanding of the structure of the machine, but will need to fill in the details. Similar how high school English teachers want an essay outline, bullet points, to be turned into full sentences, ideas and arguments, the mechanical designer takes the machine layout, architecture and description, and turns it into a full 3D model. The designer uses specialty developed 3D Design software to do this. The future is here and there are some really amazing new computer design applications that help make our jobs so much more efficient. Here at Innovative, our designers use “Solidworks”. This software allows the designer to quickly build digital parts, and put them together into digital assemblies. The designer can use this tool to build a full digital machine on his or her computer, all without cutting metal, or tightening a bolt. In addition to “filling in the meat of the machine”, the mechanical engineer must also ensure that the parts he or she is designing are suitable for the intended application. In applications where forces are very high, such as when inserting rivets or maybe the temperatures are very hot: such as during welding, the mechanical engineer must use his education and experience to ensure that a given design will perform as intended. This can be done by either simple hand-calculations, or might require sophisticated simulation software. From these digital 3D Parts, the designer is then tasked with creating engineering drawings. When the machinist goes to make the part out of actual metal, he’s not standing in front of a fancy computer. He needs a classic “engineering drawing” to construct the parts. Preparing the drawings for every part we make is a time intensive process, and is required for a machine to be documented properly. 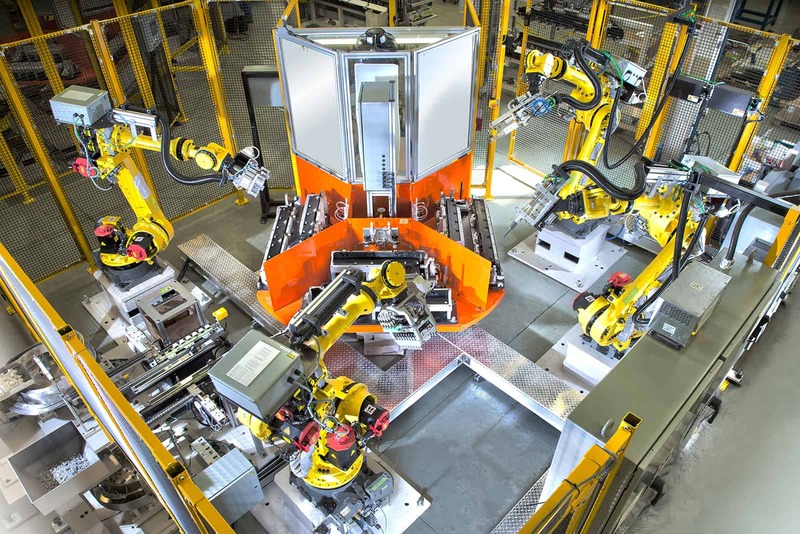 Interested in learning more about what we do at Innovative Automation? Follow us on Facebook. Looking for a job as a Mechanical Designer? Take a look at our current career opportunities.